Roxstar is our first ever buck. 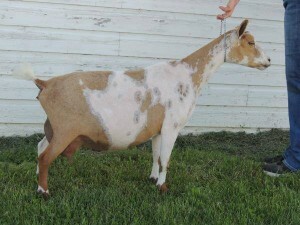 He will be co-owned with Harley Hillside Nigerians and staying there most of the year, but I’m so excited! 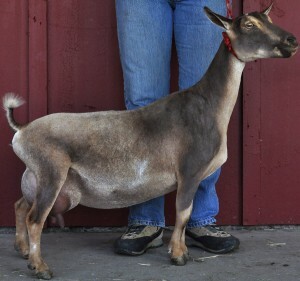 Sire is Caprine Acres HS Cooper whose dam is CH Kaapio Acres AD Carina EEEE 92! 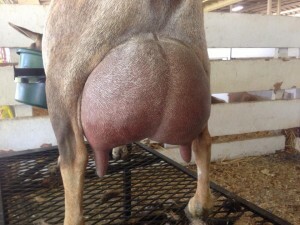 His dam is the incredible GCH CRF Castle Rock Roxanne 1*M *D VEEE 91 who has one of the most incredible mammary systems out there – having won 14 Best Udder and 21 Best of Breed awards. I’m loving the way this boy is developing. He’s angular with nice length of bone which he is passing on to his offspring. We love this boy but with only having a few does and needing to bring in new blood we moved him along to a new farm. He can now be found at Curbstone Valley.